Supply chain management (SCM) is the process of planning, implementing, and controlling the operations of the supply chain as efficiently as possible. The study starts with an Company’s profile and also the need for study, review of literature and objectives are set out for the study. Research methodology, Data analysis & Interpretation, Findings and Suggestions of the study follow. The Project has been done in The Pondicherry Co-operative Milk Producer Union Ltd. You can also Subscribe to FINAL YEAR PROJECT'S by Email for more such projects and seminar. One of the main areas of the project is the analysis part, where the data are analyzed & interpreted, to find out the Supplier Performance. Objective of this study are to identify the communication needs of supply chain, to increase supplier performance. 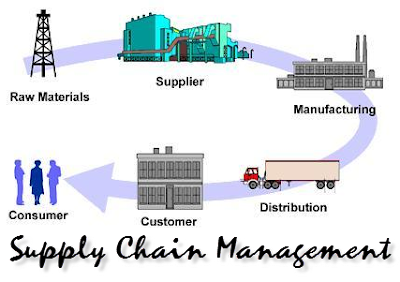 to improve and gain better control of supply chain, to increase the role of technology in supply chain, to evaluate the performance of supplier, to analyze the various parameters that determines the choice of consumer etc.